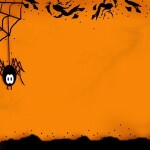 Surfnetkids » Halloween » Celebrations » What Is the Reason for Carving Pumpkins for Halloween? What Is the Reason for Carving Pumpkins for Halloween? 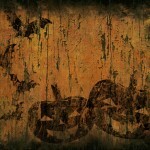 Halloween as it is observed today is a secular holiday which takes place on October 31. Though Halloween has been regarded up until the last few decades of the 20th century as primarily a holiday for children in more recent years adults have taken to Halloween activities such as mask wearing, costume parties, themed decorations. This holiday combines vestiges of traditional harvest festival celebrations with customs that are more peculiar to the occasion such as wearing costumes and disguises, trick-or-treating, doing pranks and decorations based on imagery of death and the supernatural. However nothing is more iconic to Halloween then the carving of pumpkins. Halloween was originally known as a Harvest festival that originated with the ancients, who made sacrificial offerings to the gods at an appointed time each autumn to show their gratitude for a successful harvest and sustenance for another year. The ensuing feast was part ritual and part seasonal blow-out and usually culminated in a communal banquet with music, dancing, and harvest decorations. Traditionally, harvest festivals were held on or about the arrival of the “harvest moon,” which is the full moon occurring closest to the autumnal equinox in what is now the month of September. Samhain, the Celtic harvest festival which is thought to be the forerunner of Halloween, was one exception to that rule, taking place on the day following what the Celts regarded as the last day of summer, October 31. The name Halloween is a contraction of “All Hallows Even.” The word hallow, which means “to make holy” was once also used as a noun to mean “holy place” or “holy person”. It may seem strange that Halloween, a secular celebration associated with goblins, ghosts, and witches, got its name from a holy day that is devoted to Christian martyrs. While the Catholic Church evidently hoped to replace these lingering beliefs with ones more suitable to Christian teachings, it is plain to see the effort was not entirely successful. Historians note that the phrase “jack o’lantern” is British and dates back to the 17th century, when it meant “man with a lantern” like a night watchman. It was also a nickname for the natural phenomenon that is known as ignis fatuus (fool’s fire) or “will o’ the wisp,” the mysterious, flickering lights that are sometimes seen over wetlands and associated in folklore with fairies and ghosts. 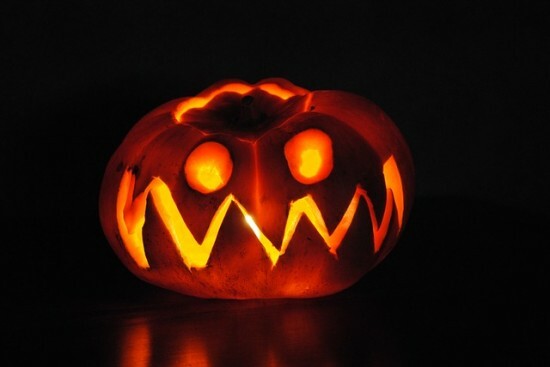 Over time “jack o’lantern” became a popular term for a homemade object which was also known as a “turnip lantern”. This was defined by Thomas Darlington in his 1887 volume The Folk-Speech of South Cheshire as “a lantern made by scooping out the inside of a turnip, carving the shell into a rude representation of the human face, and placing a lighted candle inside it.” In other locales (and in earlier times) people carved jack o’lanterns on the eves of All Saints and All Souls Days to represent souls of the dead trapped in Purgatory. According to a well known legend, the jack o’lantern was named after a less then reputable Irishman called Stingy Jack who tricked the Devil into promising he would not go to hell for his sins. When Jack died he learned he was barred from heaven, so he went down to the gates of hell to beg for a final resting place. The Devil kept his promise and left Jack to wander eternity with only a lantern to light his way. It was not until Irish immigrants brought the custom of carving jack o’lanterns to North America that pumpkins even began to be used for that purpose, and it was not until the late 19th century that pumpkin carving became a Halloween fixture.